Here’s a look at what’s coming out from non-Marvel/DC comic publishers for November 2016. While it wasn’t my favorite, this month sees the final issue of long-running, popular Image series “Chew” released. Fellow Image book “Invincible” is also finally winding down its run. Also out this month is the final issue of the “Lumberjanes”/”Gotham Academy” crossover miniseries. From last month’s comic sales figures, I assume the miniseries did relatively well. 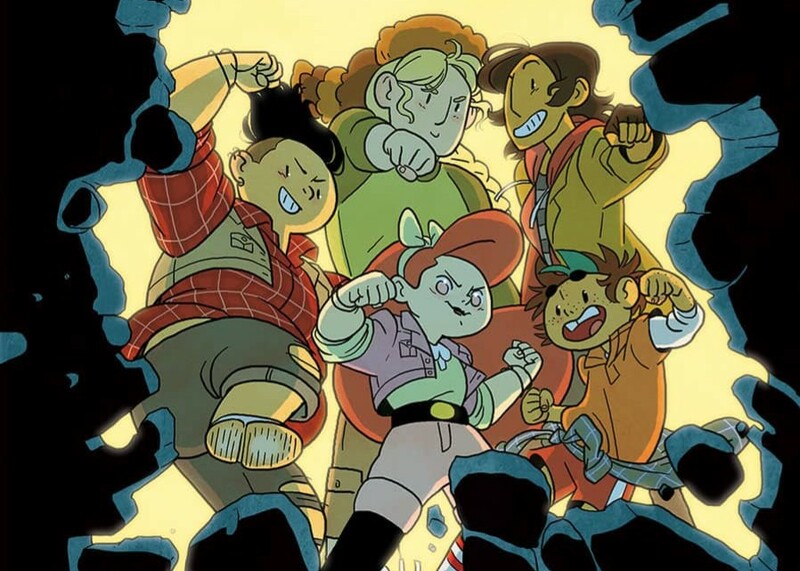 The previous issue sold about twice what a regular issue of “Lumberjanes” sells. “The Baker Street Peculiars” by Roger Langridge is a story set in London during the 1930s, and features supernatural goings-on and a mystery. Sherlock Holmes is also supposedly featured. Since Holmes is culturally more associated with the Victorian or Edwardian Age than the 1930s, I wonder if he’ll be fairly elderly here (assuming it’s really Holmes). “Boom! Box Mix Tape” is (basically) an annual anthology featuring an assortment of stories by various creators. Previous Post:Why isn’t renting or buying digital videos catching on like streaming services?